Christyn Williams, the No. 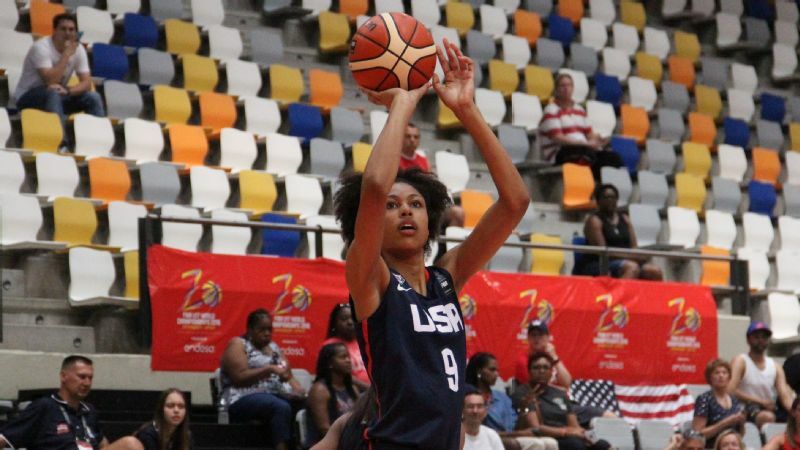 1 prospect in the espnW HoopGurlz Top 100 for the 2018 class, has committed to Connecticut. She says the history, opportunity and "home feeling" drew her to Storrs. 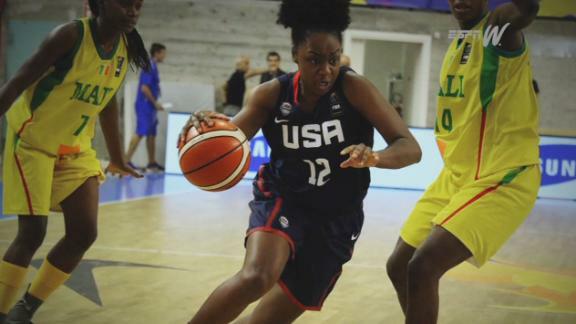 Will it be South Carolina or Connecticut for top prospect Christyn Williams? She'll announce her decision on Friday. As the No. 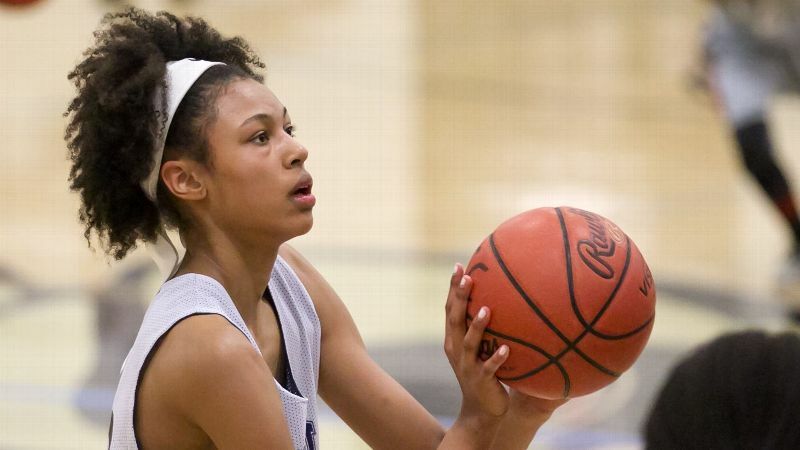 2 prospect in the nation, Texas recruit Charli Collier gets high marks on the basketball court. But does the Longhorns' new signee know how an armadillo fits into all of this? Signing Week 2018: Who's going where? 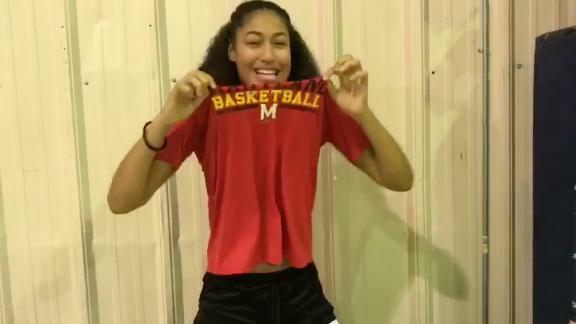 Shakira Austin can't contain her excitement about going to Maryland. Aquira DeCosta explains why she's part of an epic class at Baylor. Before they break out their pens, the nation's top recruits explain what drew them to their future schools. Christyn Williams, the No. 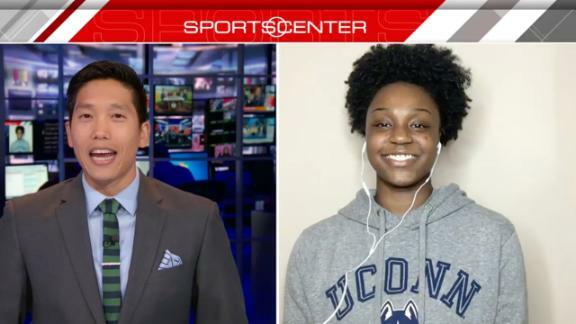 1 prospect in the espnW HoopGurlz Top 100 for the 2018 class, ended months of speculation on Friday when she announced that she has signed with Connecticut. 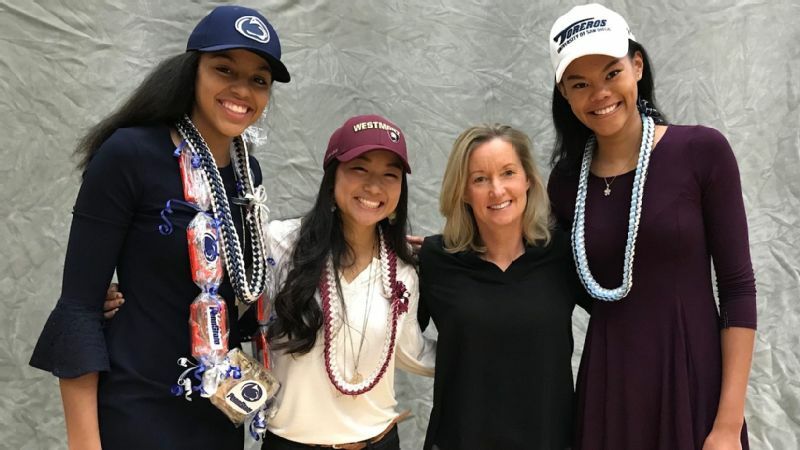 Williams' decision carried an extra layer of suspense because she is the first player from the 2018 class to commit to the 11-time champions. Charli Collier, the No. 2 prospect, had given a verbal to UConn last November before changing her mind and signing with Texas this week. With the exception of Olivia Nelson-Ododa, the No. 5 prospect who says she'll declare Wednesday, every other prospect in the top 50 has committed elsewhere. Williams had announced last month that she was deciding between Connecticut and South Carolina. But what few people knew about Williams is that Connecticut coach Geno Auriemma won her over basically at "hello." Their first conversation, when she was a freshman in 2015, changed everything. No. 1 prospect Christyn Williams has already shown the ability to take over games at the high school and international level. "He said I had the potential to be legendary," Williams said. "Obviously, Coach A knows what he's doing. Look at everything they've done. I want to be a part of it, too. I want to be legendary one day." A 5-foot-11 ambidextrous guard at Central Arkansas Christian in Little Rock, Williams is a two-time Arkansas Gatorade Player of the Year and a three-time medalist with USA Basketball. She's a dominant scorer who can take over a game and beat opponents in a variety of ways. Williams is the second straight No. 1 prospect, and the third in four years, to pick UConn. Freshman Megan Walker, a 6-1 guard/forward, was the No. 1 prospect a year ago, and junior Katie Lou Samuelson, a 6-3 guard/forward, was the No. 1 prospect in 2015. It was back in eighth grade when Williams got her first scholarship offer -- from Arkansas. "I didn't really know what it was," Williams said. "College wasn't my main priority at that time. I was a little kid. I was more worried about what I was going to eat for breakfast." That offer from Arkansas turned out to be just an appetizer. "After that," Williams said, snapping her fingers three times, "it was like back-to-back-to-back. It was crazy." Connecticut, however, was conspicuous in its absence. "I was thinking, 'Where's UConn?' They're not even contacting me, so I'm going to beat them," she said. 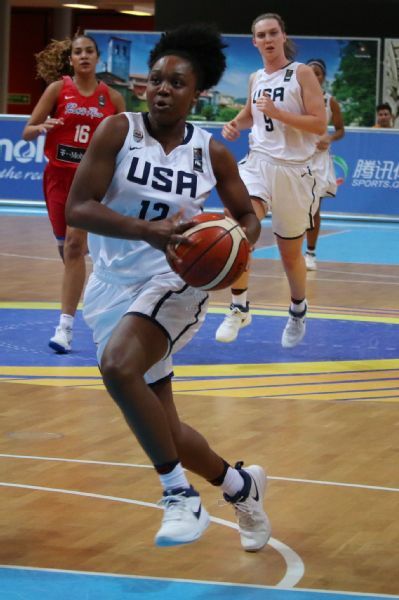 Williams scored 36 points and grabbed 14 rebounds in her first high school game as a freshman in 2014-15. She averaged 28.5 points and 10.0 rebounds that season, and news of her dominance soon reached Storrs. Huskies assistant coach Shea Ralph came to see her play, and -- according to Williams -- told Auriemma: "You have to see this girl play." Williams remembers being nervous during that first phone call from Auriemma. "I thought he was scary before I met him," she said. "I thought he was going to be intimidating, but he is the opposite. He's a fun guy. I love listening to his stories." Once Connecticut entered the picture, the Huskies had the edge. Williams visited Storrs in January of 2015 and liked what she saw but wanted to keep an open mind. 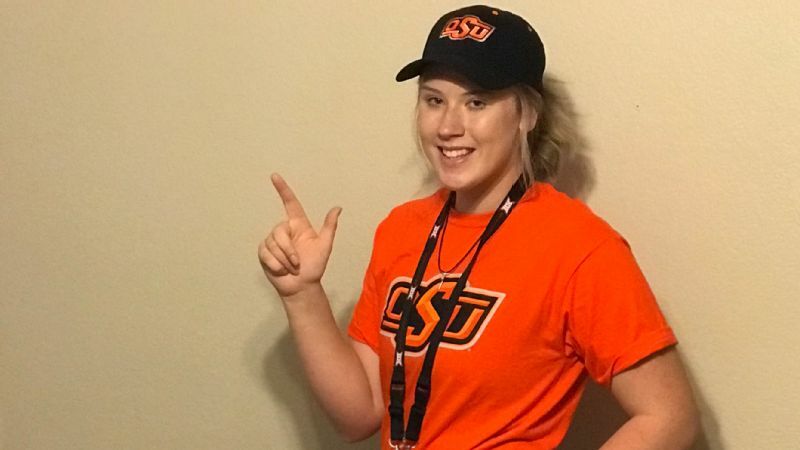 That open mind closed after she took her official visit to campus last month. Williams watched the Huskies practice for the first time that weekend, and was happy to see they did more drills and ran more scrimmages than she had anticipated. And Auriemma, she said, didn't scream at all. "He's a lot more subtle than I thought," she said. Williams has a 3.6 GPA and plans to major in mass communications while minoring in African studies. "She's relentless in her pursuit of being outstanding," Central Arkansas Christian coach Steve Quattlebaum said. "Over the past four or five years, you wondered how she could possibly get any better. But every year, she comes back, and she has improved her 3-point shooting or some other aspect of her game." Quattlebaum has no doubts Williams will make an easy transition to UConn. "She's dedicated to being the best player and person she can be," he said. "A lot of kids would lessen their intensity once they get a bunch of college offers. But Christyn is just the opposite. She works even harder to prove she's worthy of all the accolades. She understands what it takes to be great, and she is willing to do whatever it takes."